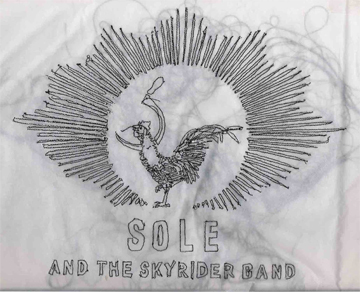 On February 3, Sole & the Skyrider Band will release a remix album for 2007’s self-titled debut on Sole’s Black Canyon imprint. It includes remixes from Anticon associates Telephone Jim Jesus, Son Lux, Dosh and Odd Nosdam as well as indie producers Thavius Beck, Astronautalis and Sleeper. Unusually, the group is offering the press advance of the album — the one that often just goes to print critics and established bloggers — as a free download for everyone. What better way to celebrate such an occasion than a remix album with old and new friends? Featuring up and coming artists and indy stalwarts alike, the record features; Dosh, Andrew Broder of Fog, Electric President, Astronautalis, Son Lux, Sleeper, Telephone Jim Jesus, Odd Nosdam, Thavius Beck, Subtitle , Bit tuner, DJ Egadz, Otem Rellik and pictureplane. Meanwhile, Sole is on a solo tour with Myka 9. You can catch him at one of the dates below. This entry was posted in News and tagged Black Canyon, Sole, Sole & the Skyrider Band. Bookmark the permalink.